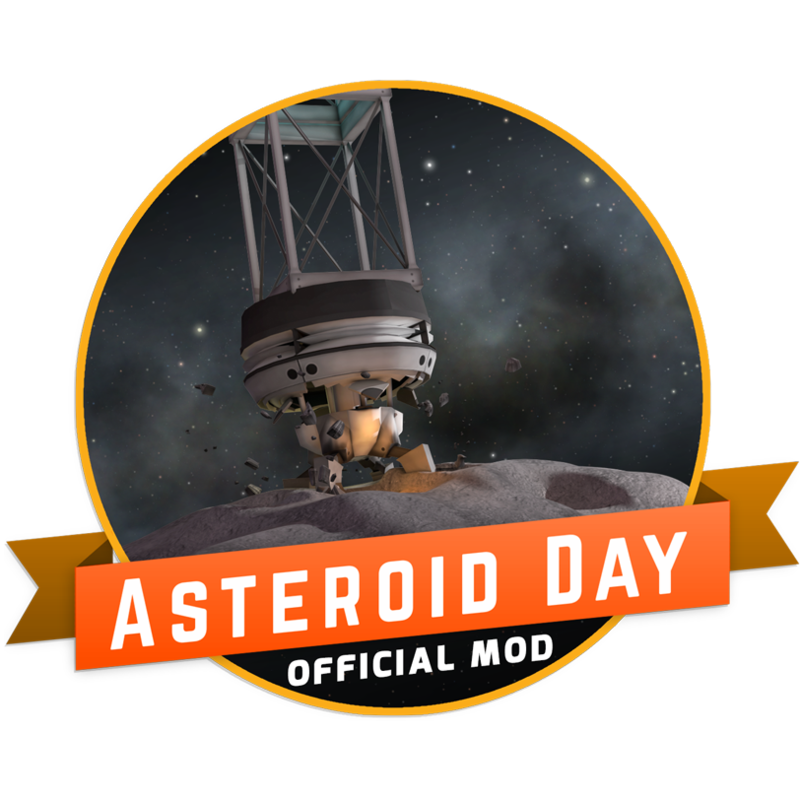 Introducing Kerbal Space Program’s second official mod: Asteroid Day! We’ve partnered with the B612 Foundation to bring you this mod which will give you four new parts, a new experiment, and a unique contract. The Sentinel Infrared Telescope mimics the real world Sentinel mission being planned by the B612 Foundation, which plans to map 90% of the larger asteroids threatening Earth's orbit sometime between 2018 and 2024. Due to sun glare it is difficult for telescopes on Earth to observe objects passing on the planet's day side. Deploying a telescope into a solar orbit near Venus and facing it away from the Sun, back towards Earth's orbit, would cover that blind spot. Your mission will be to recreate this mission profile in Kerbal Space Program, deploying a telescope around Eve’s orbit. When deployed with an antenna and a power source between Eve and Kerbin, aligned to face away from the Sun, and activated, the telescope will begin to map the orbit of the outer planet in a 200° vision cone for passing asteroids. 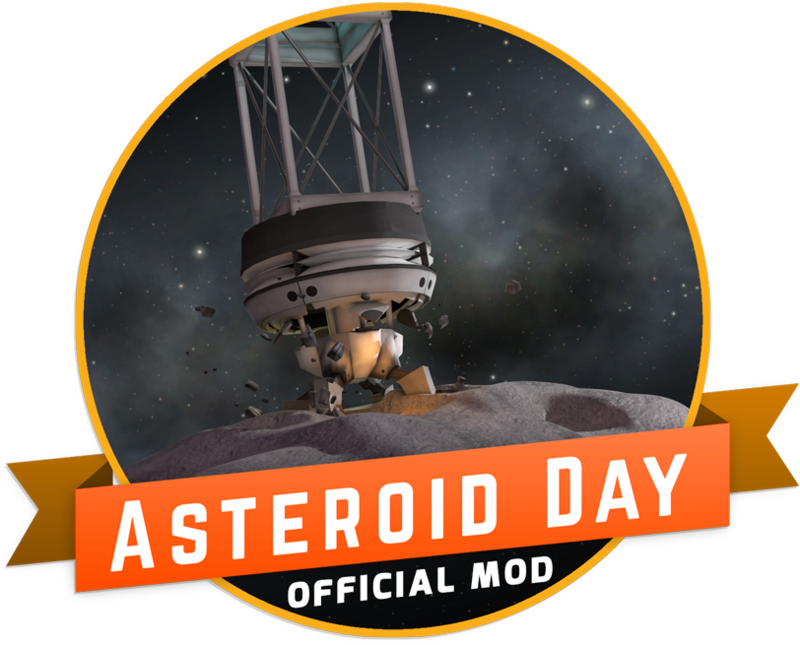 This pack also includes a long-term contract to map asteroids around Kerbin as well as other planets that match various specifications. It differs from other contracts in that it encourages the use of existing infrastructure. It does not require a new vessel for each contract, and each scan is faster with more telescopes deployed. Squad, if this is now core game as I heard, you should put that in the information above, below the image in bold "This is now part of the game by default after version x.x.x" or something. It would be helpful in stopping some of the questions after all. Squad,do you had version for KSP 1.1.3? Not sure where the best place for bug reports is, but: The solar panels introduced by this mod have defunct extend/retract/toggle options in the action group menu. Another official mod, thnx SquadOfficial! This is definitely the best way to add asteroid belt! What was the first official mod? First official DLC was the Nasa redirect asteroide DLC. It added asteroides to the game, and some ingame parts. The DLC is included in the official version of the game. On steam people get it automatic when they download the game. NASA ARM was integrated into the game. As such it wasn't really a "mod". offical mod wy not just ad it to the vanilla edition? This will be added to the core game, right? can't wait to start mapping asteroids all over the kerbol system!